SPARE PARTS: RETHINKING HUMAN REPAIR The free exhibition and accompanying events programme will explore the art, science, ethics and technology that enables human repair and alteration. Drawing on the latest research from the Faculty of Life Sciences and Medicine and the Faculty of Dentistry, Oral & Craniofacial Sciences at King’s, the exhibition examines organ transplantation and tissue regeneration through the creative responses of world-renowned artists and designers. 28 February – 12 May 2019 @Science Gallery, London. Supre:organism – Open Call AI Lab residency Waag is pleased to announce the open call for artists to develop new work through an artistic residency together with the International Lunar Exploration Working Group (ILEWG). The Supre:organism residency of Waag’s AI Lab aims to engage artistic perspectives on understanding living materiality in outer space with use of emerging AI technologies. The deadline for applications is March 11th 2019. LA FABRIQUE DU VIVANT (THE FABRIC OF THE LIVING) La Fabrique du Vivant [The Fabric of the living] retraces an archaeology of the living and of artificial life. This group exhibition offers a prospective presentation of the recent work of some fifty designers, in addition to research from scientific laboratories. 20 Feb – 15 April 2019, Centre Pompidou, Paris. Announcing “The Future of Food” exhibition opening Feb 1st “The Future of Food,” the latest exhibition from SciArt Center, will be on view at UsagiNY Gallery (NYC) from February 1st – March 2nd, 2019. This exhibition features the work of 22 artists who explore the scientific and cultural evolution of food as sustenance, a waste product, and creative medium as we look towards our futures. possibilities and infrastructure as its scientists and staff. This includes access to scientific equipment, laboratory facilities, the library and seminar room as well as the usage of field equipment. A dedicated mentor in Kilpisjärvi will familiarise residents with the local environment and customs. The emphasis of the residency is on art&science collaboration, and the sub Arctic environment. It is open for artists, scientists and interdisciplinary research teams. Application deadline 31st December 2016. AESTHETICS get SYNTHETIC: Knowledge Link through Art and Science (KLAS) A new artist in residence program is taking shape! High profile artists, with a strong interest in the intersections between arts and sciences, will be selected to interact with outstanding scientist of the @Max Planck Institutes in Potsdam and the University of Groningen KLAS creates a link between Synthetic Biology groups of leading institutions and aims to foster ArtSci exchanges and innovation, while strengthening knowledge transfer. KLAS@MPI program will also help to the development of artists as well as helping to create a new epistemological turn. It is also consistent with the ideas and interests of the science to society EU agenda as it will internationalize the cutting edge research of Potsdam MPIs, increase the awareness of the public on hot scientific topics and favour transnational scientific partnerships establishing a yearly event grounded in its ideas. elds of knowledge the project touches upon. MORE here. Your Hormones – extract and deploy What use are hormones, to us, to others, to other species? What if you extract them yourself instead of leaving that to the pharmaceutical industry? What can you make? Cocktails, connections, corrections? In this first edition of DIY Human Enhancement Clinic, invited artists-researchers Maja Smrekar and Špela Petrič will teach and tell you how and what for to isolate your own hormones, by extracting them from your urine. What can we then use these hormones for? Injecting them back into our bodies, or mixing them into a fancy cocktail? Maja and Špela will show us – with a special appearance of Mary Tsang and Byron Rich of the Open Source Estrogen project – that hormones are not only influencing our own bodies. New ways of modifying our hormones also affects our relationships with the species around us, and these effects aren’t always as straightforward as you may think. Starting from Maja’s K-9_topology project, Špela’s exciting new work with plants, and your own hormones in the test tube before you, we will open a discussion on human enhancement that us out of our human-centeredness. This workshop is suitable for artists, students and scientists and anyone interested. Do-It-Yourself Human Enhancement Clinic (DIY HEC #1), Sat. June 11, 13.00 – 17.30, Waag Society, Amsterdam. Screening and Short Talk | Bio Fiction As one of the most cutting-edge fields in twenty first century, the development of life science, and especially synthetic biology, has not only provided people the unprecedented capacity of life design, but also released the infinite potential of life as a form of artistic medium and created novel space for conversation. This event will screen the second part of selected films from BIO·FICTION Science Art Film Festival which explore the possible futures of life enabled by advanced technologies. The lecture will give a brief introduction on the history of bio art, and discuss the connection and interplay of science and art. Also, it will discuss the possible modes of collaboration between artists and scientific institutes in interdisciplinary field of bio art. Chronus Art Center, May 21, 2016. Engineering Life | Virtual Futures Salon Life is being altered and designed by artists, scientists and technologists. Through applying engineering principles to living systems, biology has become a new material for creativity. But these practices and manipulations now challenge our understanding of life and what it means to be alive. There are various ways in which life is being engineered: Techniques such as tissue culture allow for the growth of cells and organism in an artificial environments. Meanwhile synthetic biology allows for designers to programme material, creating new organisms that might be used for radical purposes such as in architecture, conducting electricity or emitting light. In addition, platforms such as CRISPR/Cas9 provide an increasingly inexpensive and versatile way to make changes to the genome. Many of these biotechnologies have captured the imagination of the public and have led to assertions that we might soon be able to build or grow replacement organs. As such new emphasis has been placed on definitions of ‘life’ that emerges through the lens of science, which requires us to questions what might be done to life through the use of these new technologies. What does it mean to be able to build with life? What are the philosophical and ethical issues that arise from these new approaches? What boundaries are crossed between science and design when we engage with these forms of manipulation? What are the implications of presenting living-art in this context? Where are the new boundaries between life and non-life? How are these technologies changing our understanding what it means to be alive and living? This panel discussion will explore who gets to use life as material and to what end. Panelists include Oron Catts, Lucy McRae, Edward Perello, Joanna Zylinska, Luke Robert Mason plus a special performance from Virtual Futures’ Near-Future Fiction Author in Residence Stephen Oram. Monday, 25 April 2016 6:30 to 9:00 pm (BST) Lights of Soho, London. Bioart Summer Residency – SVA NYC From anatomical studies to landscape painting to the biomorphism of surrealism, the biological realm historically provided a significant resource for numerous artists. More recently, bio art has become a term referring to intersecting domains of the biological sciences and their incorporation into the plastic arts. Of particular importance in bio art is to summon awareness of the ways in which biomedical sciences alter social, ethical and cultural values in society. This interdisciplinary residency will take place in the new Fine Arts Nature and Technology Laboratory located in the heart of New York City’s Chelsea gallery district. Participants will have access to all of the facilities. Each student will be assigned an individual workstation. In addition, the Nature and Technology Lab houses microscopes for photo and video, skeleton collections, specimen collections, slide collections, a herbarium and aquarium as well as a library. Demonstrations include microscopy, plant tissue engineering, molecular cuisine and the production of micro eco-systems. Field trips and visiting speakers will include artists, scientists and museum professionals. Students may work in any media including the performing arts. This residency will be led by artist Suzanne Anker, chair of the BFA Fine Arts Department at SVA; and Joseph DeGiorgis, marine biologist. In addition, visiting speakers have included artists, scientists and museum professionals including Kathy High, Ingeborg Reichle, James Walsh, Jennifer Willet, Ellen D. Jorgensen, Oliver Medvedik, William Myers and Paula Hayes. ARTMEATFLESH On Thursday 12 May 2016, Oron Catts will host a live cooking show, ArtMeatFlesh, at Smock Alley Theatre in Dublin, Ireland. Two teams of artists, philosophers and scientists will face-off to confront lab-grown meat, future food cults, a secret ingredient and the very strong stomachs of the audience. Sign up to book your place ! Hybrid Matters The exhibition Hybrid Matters in Kunsthall Grenland presents five artworks that exist in this conceptual landscape. We have a long tradition when it comes to altering the ecosystems around us, either in order to clear land for agriculture, or to build towns or changes that are due to industrial mishaps. When we cause changes that have manifestly damaged nature, we say that the area is polluted, and we may even state a point in time when the area will be restored and cleaned up. Previously though, nature has always been stronger than us – it has broken down what we have built up and re-established a viable balance in the ecosystems. Now, however, the detritus from human activity has reached such proportions, both in extent and amount, that there is scarcely a single place on earth that is pure and untouched by human alluvia. Describing some particular area as polluted no longer has the same meaning. We have brought so much human-created material into the ecosystems that the balance has been altered. Due to machines, genetically modified plants, animals, bacteria and chemicals – we have influenced the whole spectrum. We can think of this as a hybrid ecosystem – a combination of nature and technology, where nature is no longer always the dominant part. Open until 8 May, 2016 – Kunsthall Grenland, Porsgrunn, Norway. The Patient by Bec Dean “The Patient” It’s a touring exhibition of contemporary art, starting in Sydney at UNSW Galleries in June this year and then traveling to six venues in NSW and Victoria until 2018 with the support of Museums and Galleries NSW. The project considers the embodied experience of the artist as medical patient, and the medical patient as subject in recent contemporary art. The exhibition’s focus is on new collaborations between scientists and artists, and artists working closely with patient communities. The Patient explores the ways in which artists are addressing powerful human experiences in the fields of health, biological science and medicine, contributing to discourse on the representation of illness, disease, care, personal agency and what it is to be human. Please help spread the word and support “The Patient” by Bec Dean. BIO-ART / DESIGN: Transdisciplinary in Art, Sciencee and Creativity Symposium and Workshop Bio-art and Bio-design are growing transdisciplinary fields that span the experimental fine arts, product and environmental design, medecine and medical technology, engineering, and the natural sciences especially biology and biochemistry. In the fine arts, it ranges from the use of living things such as bacteria and genetic engineering as materials and processes for collaborative research and creative interventions, to the transformation of non-living materials into systems that mimic or interface with a range of biological and biophysical processes. In design one focus has been on the innovative and aesthetics use of sensors, biomaterials and smart materials, including wearable technologies and medical devices that can improve the care of patients, including diagnosis, treatment, and follow-up, emphasizing individual and social well-being including in remote regions of the world. Some of the important issues being addressed are empathy, ethics, embodiment, sentience, ecology and sustainability. Current discourse regarding the Anthropocene and challenges of creating symbiotic relationships between human and nature are relevant to this. You are cordially invited to BIO-ART / DESIGN: Transdisciplinarity in Art, Science and Creativity Symposium and Workshop. Organised and hosted by School of Art, Design & Media, Nanyang Technological University.  7th – 8th March, 2016. PostHuman Futures The specific focus of this Symposium is dedicated to the significance of the posthuman in relation to near and far futures. We will address current global issues in terms of possible posthuman futures, in order to spark a deep and multilayered analysis of what the notion of “posthuman futures” implies. In the contemporary era, characterized by different political, economical, cultural, religious, social and environmental conflicts, the traditional approach based on the humanistic attempt to acknowledge our shared humanity has not been successful. What can posthumanism add to the conversation? How can a post-humanistic, post-anthropocentric and post-dualistic approach be achieved in conflicts resolution, without repeating the failed resolution attempts of the past? More specifically, these are some of the global issues we would like to address: human and non human migration; racism, sexism, ethnocentrism and anthropocentrism; religious fundamentalism and Islamophobia; technological unemployment and economic disparities; environmental issues; non human animals and robot personhood. What perspective can posthumanism offer to these global issues? Focusing on key notions such as transformation and hybridization, but also heritage conservation and cultural acknowledgment, we will delve into our posthuman futures. A reflection on space ethics (including space travel; space exploration; space commercialization), bio-technology and bio-conservation, human and non-human enhancement; emerging technology and economic equity, post-genders and post-humanities will merge with our rigorous analysis of posthuman futures. We welcome proposals on posthuman developments and religion, including the spiritual dimension of virtual reality and virtual communities, the religious-mythological nature of hyperreality, the enhancement of meditative techniques through technology, the religious life of humanoid robots and robotic communities, the theological response of religious communities to posthumanism, the effect of cyborgian immortality on religious doctrine, and the reconceptualization of transgressive behaviours. The New York Posthuman Research Group invites multiple perspectives to converge on these and related questions. Both utopian and dystopian, visionary and critical approaches are welcome. The following areas of reflection are of interest: (philosophical, critical and cultural) posthumanism, transhumanism, new materialism, antihumanism, object-oriented ontology, metahumanism. International Metabody Forum The context for this international workshop, the fifth Artaud Forum held at Brunel Unversity, is the collaborative European project “Metabody” which works to redefine bodies in media, performance and design. Over the past few years, ‘Metabody’ has developed new architectures and immersive environments which behave like living organisms that have an auditory, visual, and tactile sensory quality, with subtly changing states and affordances, they can be worn and breathed, felt and imagined, transported and taken off. We invite participants to join us and work with these concepts of integrative tactile experience, kinetic atmospheres, multiperspectival space, and unconscious perception. ‘Metabody’ counteracts dominant technologies and their prevalent tendency to negate differences by reducing bodies and movements to prescribed forms in current surveillance culture. ‘Metabody’ emphasizes openness, and indeterminacy of embodied expressions as a key factor for a sustainable society. This project also foregrounds the need for a new politics. The workshop & performance laboratory probes troubling interpretations of the increasing unrestrainment of capital, and capitalism’s impact on all social-economic, cultural, creative, and educational sectors in a shared developed world now expanded by massive migration and refugee movement. The sustainability of democracy is an urgent theme for all those in the performing arts/creative fields becoming intensely aware of the multiplication of realities (virtualization; networked infrastructures, diasporas) and the tightening of our bodies into technological environments. This is a call for peripheral perception in existential experience. 7- 8- 9 April, 2016 Brunel University London / Antonin Artaud Performance Centre. Wetware | Art | Agency | Animation WETWARE features art in the light of today’s convergent living technologies: While artists have previously staged “Artificial life” through the hardware and software of computers and robotics to simulate living systems, increasingly it emerges from wetware itself. Whether touching upon the brain’s position between spiritualism and metabolism, the synthesis of luminescent protocells from scratch, or microbes that possess the technical ability to make gold and clean water, contemporary artists who employ laboratory methods in the context of Synthetic Biology are getting particularly “close to life” today. The exhibition features international artists who have increasingly extended their work towards wetware practices: Adam Brown, Gilberto Esparza, Thomas Feuerstein, Lucie Strecker & Klaus Spiess and Orkan Telhan. In addition Evelina Domnitch & Dmitry Gelfand and Anna Dumitriu present new works developed during their three-week residencies at the Beall in collaboration with the UCI Center for Complex Biological Systems and the UCI Newkirk Center for Science & Society. WETWARE is curated by Beall Center Artistic Director David Familian and Jens Hauser, a Paris and Copenhagen based art curator, writer and media studies scholar who focuses on the interactions between art and technology. He holds a dual research position at the Department of Arts and Cultural Studies and at the Medical Museion/Faculty of Health Sciences at the University of Copenhagen, and is distinguished affiliated faculty of the Department of Art, Art History and Design at Michigan State University. His recent exhibitions include L’Art Biotech (Nantes, 2003), Still, Living (Perth, 2007), sk-interfaces (Liverpool, 2008/Luxembourg, 2009), the Article Biennale (Stavanger, 2008), Transbiotics (Riga 2010), Fingerprints… (Berlin, 2011/Munich/2012), synth-ethic (Vienna, 2011), and assemble | standard | minimal (Berlin, 2015). Artificial Life 2016: Call for Artworks As part of its arts and culture program The 15th International Conference on the Synthesis and Simulation of Living Systems (ALIFE 2016) will host an exhibition of artificial life and other electronic artworks, such as video- and sound-based installations as well as agent-based systems and tangible interfaces. The aim is to showcase artworks related to the conference theme of “Artificial Life and Society.” During the exhibition renowned artist Ken Rinaldo will premiere a new installation that was commissioned specifically for this year’s conference: a series of breathing sound and projection mapped sculptures that connect to real time weather data and then cascade to complex soundscapes. We welcome submissions of two categories of artwork: (1) previously developed pieces, and (2) original creations exploring new concepts and ideas. All artworks are expected to be associated with the conference theme, i.e. the current and future role of artificial life and related technology in society. Selection for the exhibition will also be based on artistic merit and a project’s potential to engage the conference audience. Artists of accepted submissions are expected to register for the conference in order to have their work included in the event. Out of the accepted submissions a panel of experts will also select one winner, who will receive a special invitation to showcase their work. This winning piece will be supported by USD 500 to help cover production and transportation costs. In addition, the conference registration fee of the winning artist will be waived, while still receiving the usual benefits such as access to all conference sessions, the welcome reception, free lunches, an annual membership of the International Society of Artificial Life (ISAL) as well as an annual subscription to the Artificial Life journal from MIT Press. info on the link ! BioHack Academy On 23 February 2016, the third edition of the BioHack Academy starts, to construct the machines of a biolab. This course of 10 weekly lessons is open to a maximum of 15 persons. Learn how to design, grow and extract your own biomaterials, using only Open Source hardware you fabricate yourself. Whether it’s a new type of bio ink, bio polymer or bio fuel, we’ll show you how you can grow it yourself and share the results with others. The age of personal biotechnology is upon us! Engineers have turned biology in a design discipline and it’s now up to us to shape it’s applications. After completing the BioHack Academy you can grow your own fuel, food, filaments, farmaceuticals, fragances, fungi and much more funky bio stuff at home. We’ll teach you how to join the bio revolution and build your own biofactory using a Fablab, Maker/Hackspace or other shared machine shop. BioHack Academy is a unique international 10-week program during which participants build and use their own biolabs. It was held twice in 2015 in collaboration with partners in South-America, USA, Asia and Europe. Piksel15 Get A-Life! Piksel is an annual festival for artists and developers working with free/open source software, hardware and art in Bergen. The 13th edition of the Piksel Festival || Get A-Life! is devoted to show a series of artistic works, performances, workshops and presentations dealing with DIY A-Life (artificial life), DIY electronic and audiovisual artworks, and concerts. Piksel Kidz Lab wants to bring new media art practices to kids and youngsters with three workshops to enjoy the city: City-SUNS!, City-WATER!, City-GO! Renewable energy, natural and urban environment through mobile apps, solar energy creatures, maps, augmented realities, water sensors, … UN! WATER! GO! DIY A-Life! Seminar Experts speakers, researches and artists will discuss Open biotechnology, DIY bioart, DIY synthetic biology, Artificial Life (A-life) speculative art projects, bioethics applied to the practice of bioart. Check our website! Streams will be available at the DIY A-Life Seminar lectures (19th and 20th, from 10:00 to 13:00), presentations (Saturday from 10:00 to 13:00) and performances! (19th-22th from 21:00 till 24:00). November 19th-22nd, Bergen, Norway. EvoMUSART 2016 Following the success of previous events and the importance of the field of evolutionary and biologically inspired (artificial neural network, swarm, alife) music, sound, art and design, evomusart has become an evo* conference with independent proceedings since 2012. Thus, evomusart 2016 is the fifth International Conference on Evolutionary and Biologically Inspired Music, Sound, Art and Design. The use of biologically inspired techniques for the development of artistic systems is a recent, exciting and significant area of research. There is a growing interest in the application of these techniques in fields such as: visual art and music generation, analysis, and interpretation; sound synthesis; architecture; video; poetry; design; and other creative tasks. The main goal of evomusart 2016 is to bring together researchers who are using biologically inspired computer techniques for artistic tasks, providing the opportunity to promote, present and discuss ongoing work in the area. The event will be held in April, 2016 in Porto, Portugal, as part of the evo* event. 30 March – 1 April 2016, Porto, Portugal. GLOBALE: Exo-Evolution The exhibition focuses on the artistic use of new technologies and opens up views into the future, in various modules. It shows us our new reality, which is shaped by 3-D printers and robots, cyborgs and chimeras, molecules and gene pools, wearable technologies and medical miracles, synthetic life forms, bionic suits and silicon retinas, artificial tissue and repair techniques, and new discoveries in space research, molecular biology, neurology, genetics, and quantum information science. It shows us visions and solutions for twentieth-century problems, such as separating oxygen out of CO2 to combat the climate crisis. Sat 31.10.2015 – Sun 28.02.2016. Open Call Ars Bioartica Residency 2016 Since 2010 the Bioartsociety is organizing the ARS BIOARCTICA RESIDENCY PROGRAM together with the Kilpisjärvi Biological Station of the University of Helsinki in the sub-Arctic Lapland. Until now more then 70 artists, scientists, and practitioners have been developing work at the Station on topics related to biology, ecology and life sciences. The residency takes place in the facilities of the Kilpisjärvi Biological Station of the University of Helsinki. It provides the residents with a combined living and working environment, a basic laboratory, internet connection and sauna. The Kilpisjärvi Biological Station offers to the residents the same possibilities and infrastructure as its scientists and staff. This includes access to scientific equipment, laboratory facilities, the library and seminar room as well as the usage of field equipment. A dedicated mentor in Kilpisjärvi will familiarize residents with the local environment and customs. The emphasis of the residency is on art&science collaboration, and the sub Arctic environment. It is open for artists, scientists and interdisciplinary research teams. Travel to and within Finland to Kilpisjärvi as well as the accommodation at the Station have to be covered by the applicant. The Finnish Society of Bioart will assist with the funding process if wished. The evaluation of the applications emphasize the quality of the proposal, its interaction of art&science, its artistic and scientific significance, the projects relation to the local environment and its feasibility to be carried out at the Kilpisjärvi Biological Station in the given time. Application deadline 30th October 2015. 2015 Bio Art Seoul Exhibition “Abundance of Life” is the theme of this year’s Bio-Art Exhibition organized by Seoul National University Medicinal Bioconvergence Research Center (Biocon) in collaboration with the Digital Art Weeks International. The event hopes to showcase a selection of artists whose work covers a broad spectrum of work that connects to life sciences. The word abundance refers to a very large quantity or to a state or condition of having a copious quantity of something. Nature is in abundance and this plenitude reflects one key issue about life. The opportunity to submit works for exhibition extends to all artists and illustrators whose work reflects the theme of the exhibition in any form or fashion and where possible also shows scientific research as a converging factor in the arts. Selected works will be exhibited in the National Science Museum in Seoul South Korea from 5 to 15 November in exhibition dedicated to art and the life sciences. INVISIBLE – A BIG BACTERIA PROJECT INVINCIBLE addresses concepts of sustainability, ecological structures and social models in calling attention to the iconic World Cultural and Natural Heritage site – Amphitheatrum Novum – Colosseum in Rome. As the world-wide icon of cultural heritage, the Colosseum will be illuminated by a huge light-installation projecting the bacterial biofilm (patina) on an important part of its northwest side. Samples of patina – the natural organic film – will be removed from the surface of the building and placed under a microscope. The connected projectors will transmit the images on the external surface of the object. For a moment the ‘secret’ microcosm of the patina emerges from the darkness into the light. The live media performance INVINCIBLE from the 17th to the 19th of September 2015, 8.00 pm to 2.00 am will be visible for all visitors of the eternal city who decide to approach Forum Romanum. For all other people interested, a live stream will be available on this website. ŠPELA PETRIČ: ‘Confronting Vegetal Otherness: Skotopoiesis’ Skotopoiesis is the first performance from the series attempting plant-human intercognition. In this durational piece the artist and germinating cress face each other, illuminated by a light projection. The biosemiosis occurs through the obstruction of light; the artist’s shadow contributes to the etiolation of the cress (yellowing, lengthening), while the time she stands arrested to achieve this effect results in the shrinkage of the artist, making visible the effort of this cross-species encounter. Schedule: Performance: 9 – 11 Sep, 2015, 11am-9pm, last day till 4pm / Panel discussion: 11 Sep, 2015, 6-8pm. Location: Kapelica Gallery Kersnikova 4 SI-1000 Ljubljana. TRUST ME, A DIARY is a record of the meetings and encounters as well as personal reflections, questions and readings surrounding the European project Trust Me, I’m an Artist which explores the ethical issues in art that engage with biotechnology and medicine. Reports are written in French by Annick Bureaud, curator, independent art critic and director of Leonardo/OLATS, European sister organization to Leonardo/ISAST. Call for collaborators: Field_Notes – HYBRID MATTERs “Field_Notes – HYBRID MATTERs” is an art&science field laboratory organized by the Finnish Society of Bioart at the Kilpisjärvi Biological Station in Lapland/Finland. Five groups, hosted by Marko Peljhan and Matthew Biederman (Arctic Perspective Initiative – API) with Leena Valkeapää, Richard Pell and Lauren Allen (Center for Postnatural History), Antye Greie aka AGF, Antti Tenetz and Lea Schick will work for one week in the sub-Arctic Lapland. Together with a team of five selected collaborators, they will develop, test and evaluate specific interdisciplinary approaches in relation to the notion of Hybrid Ecology. Application deadline: 29th of Mai 2015. BIO ART – BIO DESIGN: The videos are online ! March 2014, Leonardo/Olats and Decalab were organising the conference on BIO ART – BIO DESIGN. Societal and cultural issues of synthetic biology at the Espace Pierre-Gilles de Gennes – ESPCI Paris Tech. March 2015: the video recordings are made available. Listen to Anna Dumitriu, Lia Giraud, Thibaud Coradin, Claude Yepremian, Marion Laval-Jeantet, David Benqué, Franck Perez, Lucas Evers and Annick Bureaud presentations. The French participants speak in French, the others in English. Neolife SLSA 2015: The inaugural (Rest of the World) SLSA Conference Presented by SymbioticA From the odd to the mundane, new forms of life are emerging in labs, workshops and studios. With the promise of exploitation for health and wealth, we are seeing Neolife – life that has not previously existed – smothered in hyperbole, rhetoric and speculation. How do Indigenous cultures respond to Neolife? On what terms are countries like China, India, Singapore and Japan, who have rapidly growing biotech industries embracing or rejecting Neolife? Neolife: The Rest of the World SLSA 2015 addresses these questions with a wide range of approaches. Abstract word limit maximum 300 words (2000 characters including spaces). Collecting and Display BioArt: Ethics and Guidelines The BioArt project, “BioArt: Borders and definitions. Research project for the development of a widely accepted deontological framework of its production and management”, is implemented by the Technological Educational Institute of Athens (TEI of Athens) coordinated by the Dept. Conservation of Antiquities and Works of Art in collaboration with researchers from the Panteion University of Athens and Columbia University (USA). International Workshop Programme Technological Educational Institute (TEI), Main amphitheatre, Agiou Spyridonos Street, Aegaleo Athens, Greece, April 24, 2015. Trust Me, I’m an Artist Trust Me, I’m an Artist: Developing Ethical Frameworks for Artists, Cultural Institutions and Audiences Engaged in the Challenges of Creating and Experiencing New Art Forms in Biotechnology and Biomedicine in Europe is supported by funding from Creative Europe and is a collaboration between Waag Society, Brighton and Sussex Medical School, The Arts Catalyst, Ciant, Kapelica Gallery, Medical Museion, Capsula and Leonardo/Olats. The lead artist on the project is Anna Dumitriu and the lead ethicist is Professor Bobbie Farsides. Trust me, I’m an Artist will involve a series of practical and discussion-based participatory workshop activities; a major series of performative events (before a live audiences) where a specially selected artist will propose an ethically complex artwork to a specially formed ethics committee (following the rules and procedures typical for the host country), the ethics committee will then debate the proposal and come to a decision, the artist will then be informed of the ethics committee’s decision and, alongside the audience, they can enter into a discussion about the result. ARTICLE Biennale for electronic and unstable media “ART + DNA & NANO” Concept and themes for Article biennial 2015 will revolve around the intersection Art & Science, focusing on art which make use of and comments on DNA and nanotechnology. Access to information and use of new technology has inspired artists to explore creative, ethical and philosophical aspects of science. The artists visualize the invisible and redefines the concept of aesthetics and what is meant by art. Article biennial will present artworks questioning DNA technology concerning copyright and privacy, artwork painted with nano particles of silver and a new supermarket with artistic speculative nanoproducts. The exhibition is supplemented by events in the form of discussion panels, artist presentations and workshops for children and young people. Article biennial is produced and arranged by i/o/lab Centre for Future Art – an artist driven organization based in Stavanger, Norway. i/o/lab has since 2001 promoted artistic projects that explore the interplay between new technology, science, bioart and social context. Stavanger Art Museum, Feb 6-March 1, 2015. Lecture Evening on Art and Genetic Engineering Lecture on the topic «art and genetic engineering» with Ingeborg Reichle, Uwe Strähle and Lynn Hershman Leeson. The lecture evening throws light on the »Infinity Engine« from art-historical, natural scientific and artistic perspectives: Ingeborg Reichle discusses the various elements of the complex installation against the background of laboratories in the context of art; Uwe Strähle examines the innovative work based on the practice of genetic research; while in the subsequent discussion Lynn Hershman Leeson explains the concept and realization of the work in greater detail. “The Infinity Engine” by Lynn Hershman Leeson, ZKM, Museum of Contemporary Art, Karlsruhe, Feb 27, 2015. Bill Smith – Synthetic BioStructure P.P.O.W is pleased to present an exhibition of work by Bill Smith. Smith, who has a degree in both sculpture and micro-biology, uses his knowledge of science not only as a basis for inspiration but as his media as well. While artists since the Renaissance have used scientific ideas to create masterpieces, Smith uses actual techniques of the scientific and natural world to create sculptural assemblages that draw on the intricate systems and inherent beauty found in nature. Taking scientific laws and principles as a guiding form, Smith has created a highly aesthetic visual language that he uses to create complex, often mechanized, sculptural works that bridge the gap between art and science. P.P.O.W’s exhibition will feature a new body of work by Smith, including a series of small sculptures made out of metal and steel springs, along with large-scale models made out of carbon fiber and 3-D printed material. While appearing to be geometric, these elaborately crafted works, created using a complex molecular inspired building system that Smith recently patented, in fact contain no straight lines and have the potential to create an infinite variety of shapes and structures. January 10 – February 7, 2015. Opening Reception: Saturday, January 10, 6 – 8 pm. Open Call for BAD Award 2015 Artists and designers interested in the life sciences are invited to propose new projects for funding. The BIO ART & DESIGN AWARD (previously called the DA4GA) grants three awards, each of them is €25.000, to fully realize a new work of art or design that pushes the boundaries of research application and creative expression. To be eligible for the award you must have graduated no longer than five years ago from a design or art program at either the Masters or Bachelors level. Applicants are encouraged to relate their proposals to recent advances in the life sciences, including (but not limited to) those within specialties such as biomedicine, synthetic biology and ecology. Please be sure to read all information about the call, deadlines, regulations and requirements before submitting an application on the website. The award is a product of collaboration between ZonMW, NWO, TU/e, the Waag Society, Bio Art Laboratories and MU. The call procedure will be carried out by ZonMW. The deadline for applications is 2 February 2015. Art and Protocell Residency The Center for Fundamental Living Technology (FLinT), University of Southern Denmark is inviting an artist in residence for up to six weeks during 2015. The two-part residency will start in the spring and conclude in the summer/fall of 2015. Call for Artist in Residence at Synthetic Biology Lab The Center for Fundamental Living Technology (FLinT), University of Southern Denmark – in collaboration with Biofaction- is inviting an artist in residence for up to six weeks during 2015. The two-part residency will start in the spring and conclude in the summer/fall of 2015. As an artist in residence, you will actively engage with the scientists while working on a Synthetic Biology related artwork. There is no prior definition of, nor restriction to, specific genres and we welcome applications from artists, designers, writers, biohackers, or other cultural practitioners. DASER Art and Ecology Join Cultural Programs of the National Academy of Sciences at the D.C. Art Science Evening Rendezvous (DASER), a monthly discussion forum on art and science projects in the national capital region and beyond. This month, DASER explores the topic of art and ecology and is organized in conjunction with the exhibition. Brandon Ballengée: Collapse Ballengée will lead a tour of the exhibition during the reception following the discussion. This free public event is on Thursday, December 11 from 6 p.m. to 8 p.m. in the Auditorium of the NAS Building, 2101 Constitution Ave., N.W. A photo ID is required. Doors open at 5:30 p.m. and a reception follows from 8 p.m. to 9 p.m.
COLLAPSE Cultural Programs of the National Academy of Sciences announces “Collapse,” an exhibition created by Brandon Ballengée in response to the 2010 BP Deepwater Horizon oil spill in the Gulf of Mexico and the global crisis occurring in the world’s fisheries. Ballengée created “Collapse” in collaboration with Todd Gardner, Jack Rudloe, Brian Schiering, and Peter Warny. The exhibition opens Nov. 17, and will remain on view through March 20, 2015, at the National Academy of Sciences. Biologie de Synthèse: Rencontres artistes scientifiques Le monde vivant vous passionne, ses modifications réelles ou potentielles vous interpellent, vous inquiètent ou stimulent votre imaginaire ? Venez participer à une rencontre sur ce thème entre artistes, chercheurs et étudiants en sciences et en sciences humaines et sociales, le lundi 24 novembre 2014 de 17h à 20h30 à l’ESPGG (Espace des Sciences Pierre Gilles de Gennes). Naturally Hypernatural: Visions of Nature (Nov 14-16, 2014) is an interdisciplinary conference investigating the fluctuating “essences” of “nature” and the “natural” in the 21st century. Each of these terms carries with it an enormity of philosophical questions ranging from the alteration of life itself to dialogues concerning the notion of the Anthropocene, a term used to describe man’s intervention into the natural world. The talks presented here will focus on contemporary issues in the visual arts as they intersect with the biological and geological sciences, confirming that nature remains an intrinsically mysterious, ever more mutable entity. At the present time, cellular parts are being remixed in laboratories to create synthetic organisms while geological transformations are forecasting wild swings in weather conditions. Human reproduction regularly occurs in Petri dishes while cucumbers are grown in space. The artificial and the natural now combine to form novel entities, never before seen on earth, while animal species dwindle down to extinction every day. Animals and plants are exhibited as contemporary art, while the real is conflated with the imaginary. Technological advances and their theoretical undertones have migrated into art practice producing New Media installations, Bio Art exhibitions and a global community of art practitioners adapting novel productions to cultural resources. In addition, visual art has become a social practice platform with projects that intersect with urban farming, DIY biology and extremes in performance art. Naturally Hypernatural:Visions of Nature brings together artists, historians, curators, philosophers and scientists to examine and comment on these ideas. In addition, there will be an exhibition of work by students, alumni and faculty, generated through SVA’s Bio Art Laboratory, the first of its kind in the U.S.A.
BIO-FICTION The Synthetic Biology Festival, Vienna, Austria (23-25 October 2014). BIO-FICTION explores the emerging field of synthetic biology from different disciplinary angles including engineering, social science, cultural studies, amateur biology, film makers, artists and designers. It features short film on any aspect of synthetic biology, including documentary films, animation, (science) fiction, etc. Ars Bioartica Residency 2015 – Open Call – Kilspijarvi/Lapland/Finland Since 2010 the Finnish Society of Bioart is organizing the ARS BIOARCTICA RESIDENCY PROGRAM together with the Kilpisjärvi Biological Station of the University of Helsinki in the sub-Arctic Lapland. Application deadline 14th November 2014. Open Call for entries: VIDA 16.0 Extended deadline: August 7th, 2014 The main aim of the International Art and Artificial Life Contest, VIDA, is to recognise artists who are interested in the current discourse on life through the latest technologies and the most recent scientific advances. Conceived in 1999, VIDA, which offers a total of 82,000 Euros in prizes, is currently one of the most prestigious international contests in the field of media art. VIDA supports excellence in artistic research into artificial life. All the projects awarded prizes in VIDA have the ability to express the complexity of the organisation of living systems and the hybrid nature of life. The VIDA jury will consider works of art that are governed by these principles, and more importantly, will select the projects that offer challenges to current ways of understanding life. NEW from the Leonardo Book Series, published by the MIT Press: Biopolitical Screens: Image, Power, and the Neoliberal brain by Pasi Valiaho. In Biopolitcal Screens, Valiaho charts and conceptualizes the imagery that composes our affective and conceptual reality under twenty-first-century capitalism and investigates the role screen media play in the networks that today harness human minds and bodies. Heaven + Earth + Joe Davis An award winning documentary about the godfather of bioart who sends vaginal contractions into deep-space to communicate with aliens; encodes Greek poetry into transgenic organisms and travels the world exploring the inextricable connections between art, science and the physical world. Joe Davis enlists the collaboration of some of the great minds of MIT and Harvard to help us find our place in the universe. The renowned art critic James Elkins has said of him: “to my mind the most interesting living artist…”. Enjoy a wild ride from laboratory to bar room and back again in this film that reminds us that anything is possible. Featuring the music of Do.Make.Say.Think. INTERNATIONAL METABODY CONFERENCE The International Metabody Forum – IMF 2014 Madrid will take place 7-20 July in 5 venues of Madrid. METABODY is a 5 years project starting July 2013, with the support of the European Commission and the participation of 28 partners from 14 countries, coordinated by Reverso. Bio-fiction 2014: The second international Synthetic Biology Film Festival Bio-Fiction is the Synthetic Biology Science, Art and Film Festival. The second Bio-fiction Science Art Film Festival will take place from 23 – 25 October, 2014. The Venue will again be the Museum of Natural History in Vienna, Austria. Send your SHORT FILM about synthetic biology before the final deadline: August 31, 2014. Nature² VICTORIA FULLER, EXAMINES THE NATURAL WORLD AT PACKER SCHOPF GALLERY June 6 – July 12, 2014 Victoria Fuller’s sculpture explores nature from all angles – underground, above ground, outer space and inner space. In an exhibition at Packer Schopf Gallery, Fuller offers a multilayer investigation of environmental systems. Aptly titled Nature², Fuller’s sculptures alternately depict organic and manmade structures, illustrating both nature’s abundance and the dire consequences of human interference. Figurative representations of untouched flora and fauna juxtapose ecological carelessness and exploitation. The Third International Conference on Transdisciplinary Imaging at the Intersections of Art, Science and Culture will present papers that explore the theme of the cloud and molecular aesthetics. Clouding occurs when information becomes veiled, foggy, fuzzy, obscure or secretive, or when it condenses, blooms and accretes into atmospheres of chaotic turbulence and pressure vectors, into tidal flows and storms. The cloud also is a new formation of data as a global and seemingly immaterial distribution of storage and means of retrieval. This data cloud exists everywhere and yet is nowhere in particular. Pera Museum, Istanbul 26-28 June, 2014.
International Conference “Medicine and Environment. What kind of Interdisciplinary Collaborations for Synthetic Biology ?” AgroParisTech, Paris. 23-24 June, 2014. Faculty Search: Full/Associate Professor, Biomimicry The University of Akron invites applications for Faculty Appointments at the Full and Associate Professor level to begin in Fall 2014. Exceptional candidates at other levels may be considered. [macro]Biologies II: organisms The second exhibition of the series [macro]biologies & [micro]biologies will highlight the works of artists dealing with multi-celled organisms. Noteworthy is both the relationship of these organisms to us, as well as their roles as independent actors. The exhibition focuses on the works of three remarkable, internationally recognized artists whose work deals with multicellular organisms: Suzanne Anker (US), Brandon Ballengée (US) and Maja Smrekar (SI). Art Laboratory Berlin. 31 May – 20 July, 2014. Live Coding and the Body Symposium The AHRC funded Live Coding and the Body Symposium will take place on July 5th and 6th at the University of Sussex. This symposium will focus on relationships between code and the body in live performance arts. Cloud & Molecular Aesthetics Conference Lanfranco Aceti, the founder of OCR Edward Colless Head of Critical and Theoretical Studies and Paul Thomas, Program Director of Fine Art at COFA, are the lead chairs and organizers of the conference Cloud & Molecular Aesthetics from June 26 to 28, 2014, at the Pera Museum. We invite you to three stimulating days that explores new perspectives and evolutions in contemporary art were acclaimed professionals including curators, historians, creative arts practitioners, critics and theorists consider transdisciplinary imaging relating to the theme of cloud, dispersal, infinitesimally small and molecular aesthetics. FAT: IT’S DELICIOUS a free ‘lab in the gallery’ exploring the good, the bad and the beauty of fat. Science Gallery, Dublin. May 16 – June 29, 2014. Symposium about art and ethics: From Bioethics to Bioart: The Question About the Limits “Bioethics in a Globalized World: Science, Society and the Individual,” organized by the International Association of Bioethics (IAB), hosted by The National Bioethics Commission of Mexico, Mexico City, June 25-28, 2014. David Saltz: Robotic Actors: Who is Pulling the Strings ? Who is the “performer” in robotic theater? When do robots function as hi-tech puppets, and when, if ever, can they properly be described as actors in their own right? In considering this question, David will draw on examples of recent robotic theatre, including his own project, Commedia Robotica. DASER is a monthly discussion forum on art and science projects in the national capital region. June 19, 2014. Beall Center for Art + Technology presents Origins of Life : Experiment #1 The Origins of Life series is a working performative installation and re-enactment of the famous experiments carried out by Stanley Miller and Harold Urey at the University of Chicago in the 1950′s. June 5 – July 2, 2014. Open Call for Papers Technoetic Arts Journal is a vibrant publishing platform of Intellect Ltd, from researchers and scholars from all over the world. TA Journal is featuring research articles of the conjuncture between art, technology and the mind. We invite submission of original research papers on the topic of “Aquaponics: Moist Media” as a symbiotic environment of transdisciplinary research. This symbiosis refers to moist media – initiated by its principal editor, Roy Ascott- and explores the moist domain between the dry world of virtuality and the wet world of biology. Please send your submission, including complete manuscript (min 4.000-max 6.500 words), abstract, short bio (max 200 words) until 8 June, 2014 at: ionionode@gmail.com. Life, in Theory // SLSAeu Conference EUROPEAN SOCIETY FOR LITERATURE, SCIENCE, AND THE ARTS is organizing the 8th SLSA-EU Conference, “Life, in Theory”. This meeting will take place June 3-6, 2014, in Turin, Italy. Call for Participation : Curie’s Children [glow boys, randon daughters] Workshop in Helsinki/Finland. “Curie’s Children [glow boys, radon daughters]: An investigation of radioactivity in the context of art, physics and activism” originating from the Case Pyhäjoki project. June 2-5, 2014. Blueprints for the Unknown Exhibition at V2 Institute for the Unstable Media as part of the DEAF 2014 Biennale: The Progress Trap. May 22 -June 9 2014. This exhibition investigates the gap between the promises of engineering biology and the complex and conflicted world we live in. Each scenario is set in a very specific context, ranging form healthcare to green politics and bonzai grooming, and probes the potential impact of biotechnology on society and culture. Blueprints for the Unknown is a project by Design Interactions Research at the Royal College of Art in London, as part of the european art-science programme Studiolab. Biohacking : Do It Yourself ! Exhibition open at Medical Museion from January 25th 2013 to summer 2014, Wednesday-Friday and Sunday, 12-4 pm. Visit the web exhibition here. Semipermeable (+) looks at the membrane as a site, metaphor and platform for a series of artistic interventions and projects, some commissioned specifically for the exhibition and others selected from the many projects developed at SymbioticA since 2000. Presented by ISEA2013, SymbioticA and the Powerhouse Museum. Art from Synthetic Biology The exhibition ‘Art from Synthetic Biology’ features living genetically modified artworks produced through a doctoral research combining innovative approaches in the arts with the biological sciences. By tapping into a range of behaviours and capacities unseen in nature, the exhibition offers experimental insights and novel experiences using bacteria, genetics and life-processes as artistic media. 8th-12th of April, 2013. The Royal Institution of Great Britain.